The newest summer activity at the Adventure Center at Waterville Valley in New Hampshire is the ResortBoard Adventure Tour, the first experience of its kind in New England. The ResortBoard is a battery-operated cross between a skateboard/snowboard and Segway, which has a thumb-operated accelerator and turns by weighting the toe or heel edge. Let go of the thumb switch and the ResortBoard comes to an immediate stop. There are two speeds and a button for reverse. Check out the ResortBoard video. ResortBoards are highly versatile personal transportation vehicles and can be used on pavement, gravel, loose dirt, mud, and even packed powder. The rugged design includes heavy-duty front and back spring brackets, off-road suspension system, plus 13x5 inch wheel package that improves stability and optimizes clearance. ResortBoards are also equipped with an undercarriage protection system that includes gearbox skid cover and protective roller bars. Waterville Valley Resort’s guided Adventure Tours are designed around each group’s abilities and interests, and pairs practice and play with trail riding along cross country ski trails, woodland paths, mountain biking system, and expansive wildflower fields. 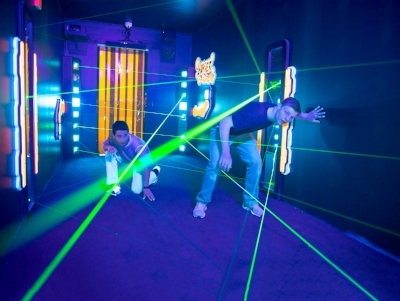 Stops include photo-worthy views, local landmarks, and some little-known hidden gems, allowing an intimate tour of the Valley floor for new and long-time visitors alike. ResortBoard Adventure Tours are up to an hour and a half experience on weekends at 10:00 AM and 2:00 PM with a guide, and a group of up to five can be accommodated ($48 per person). Other ski resorts that have ResortBoards include Roundtop in PA, Wisp Resort in MD, and Canaan Valley in WV. The ResortBoard is used at more than 250 golf resorts as an individual transportation device to replace walking or golf carts. It weighs only 125 pounds, and costs just 7 cents a charge for up to 18 miles or about 4 hours. The ResortBoard can be used on pavement, gravel, loose dirt, mud, and even packed powder as a vehicle for year-round back-country trail riding, on fire roads, single track bike paths, cross-country trails, and catwalks. 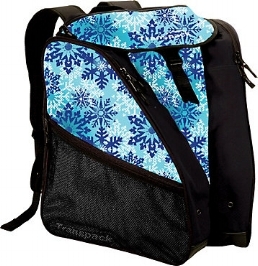 The optional detachable carry baskets and cooler allow you to bring extra gear, drinks, and snacks. With over 400 pounds of total carrying capacity, you can load equipment for your backcountry excursion. Balance and control for a first time ResortBoard rider comes quickly with a brief practice to get used to the thumb accelerator and turning. Those who have surf, skateboard, or snowboard experience can get comfortable on the ResortBoard very easily. Trail enthusiasts will love riding the ResortBoard and even though the speed is slow enough to make it a relatively safe experience for the average recreationist and they’re a load of fun, you still have to sign a waiver form to use it. Nordic Walking burns 40% more calories! Nordic walking is a fitness activity that combines walking with specially designed poles to engage the upper body muscles. Like cross country skiing, the poles are used to match each step a person takes and it’s an easy, inexpensive workout with remarkable benefits - according to a study by the Cooper Institute, Nordic walking burns up to 40% more calories compared to just plain walking. It’s better than just walking because it provides an easier cardio workout by increasing the heart rate 5-17 beats per minute more than normal walking without increasing the perceived rate of exertion. It also provides an upper body workout that includes shoulders, arms, chest, and back muscles. And it’s a low impact exercise, so it’s easy on knees and joints. A good pair of walking or running shoes, comfortable clothing, and Nordic walking poles will get anyone started. People of ALL ages and ALL fitness levels can unlock the calorie burning and aerobic benefits of Nordic Walking. The winning combination of improved posture, unique 4-Wheel-Drive type action and the shock absorbing benefits of the poles help many individuals to walk comfortably - even those with balance issues, knee issues or new knees, hip issues or new hips, back issues (including those with rods in their back), weight issues, multiple sclerosis (MS), Parkinson's (PD), neuropathy, arthritis, bursitis, scoliosis, lumbar stenosis, fibromyalgia, post polio, osteoporosis, stroke recovery and other limitations to walking. Nordic walking (or ski walking) is taking off and the Human Kinetics book entitled Nordic Walking for Total Fitness by Suzanne Nottingham and Alexandra Jurasin has got it covered. For those who are unfamiliar, Trekking (hiking with poles) and Nordic walking are two different activities that use very different poles and techniques. It may sound silly, but perhaps "walking is not just walking." The pole angle, weight, grip, and straps are different between the aforementioned modes of walking. The Nordic walking pole is designed to allow your hands to relax in order to target the larger wrapping muscles of the back. But using poles of any kind automatically stimulates your spine and all of the muscles around it, even with inefficient technique. When walking, the key postural muscles of the core and upper body are engaged. There are Nordic walking technique progressions, fitness exercises, power training, and variations for balance, agility, and flexibility. In the aforementioned book, common technique errors are reviewed as well as uphill and downhill techniques, advanced cardio training, and drills for strength training and calorie burning. The book also includes fitness assessments, sample workouts for varying levels of interests from first timer to cross training triathletes. There are also suggestions about customizing your program. Training program recommendations are offered for building distance, fluctuating daily intensity, and rest days. If this all sounds a bit like overkill, that's because it is, particularly if you are a recreational fitness enthusiast but you need read only as much of the book as you feel is relevant to your personal situation. I've been a Nordic Walker for a few years and found many of the claimed attributes for the activity regarding posture and exercise to be true. I've always been in search of a way to decrease the amount of time spent exercising, so I was sold when I heard that using the poles increases caloric burning by 40 percent. Cross country skiers will find it easy to quickly master Nordic walking. As a bonus, after a summer of Nordic walking, I noticed a marked improvement in my cross country ski poling in terms of strength and timing. It seemed that I increased the amount of forward momentum that was attributable to poling and I was able to pole stronger and longer when skiing. Nordic Walking provides an exercise foundation for anyone, ranging from those just looking for an activity to lose weight to health aficionados interested in taking it to higher levels of fitness. Is there a difference between cross country (XC) skiing at a commercial center and “in the woods?” You better believe it! One of the greatest obstacles for increasing XC skiing popularity is the common image of a lone XC skier going into a narrow dark trail as if isolation in the woods was the goal. But designed trails at XC resorts with groomed and maintained trails offer much more than solitude. Often trails that are built by loggers or by the government in state and federal parks have long straight ascents and descents. Most average skiers are often afraid of the speed of a long downhill. Instead, trail designers such as John Morton of Morton Trails recommend undulating and twisting trails that spark interest on every turn and also help slow down the speed. Destinations, scenic vistas, and accomplishment upon arrival make great sense on XC ski trails, and these are characteristics that well-designed trails provide. * have ski patrollers to help, if necessary. Yes, admittedly many people can XC ski out their back door in the backyard, on a local golf course, or on a trail in a nearby forest, and it is very convenient to do so. But fee-based XC ski resorts or centers offer a different skiing product. New Hampshire’s Jackson Ski Touring Center, emulated by hundreds of XC ski resorts across North America, is a perfect example. In addition to the services listed above, Jackson also has something intangible: the “Culture of XC Skiing.” History, Expertise, Community, Education. That’s why Jackson and surrounding XC ski centers can be considered one of the true mecca regions of XC skiing. Of course, the major issue with non-fee-based XC ski trails is the condition of the snow. The weather rules the snow and without trail grooming and trail maintenance, the snow can be hard packed, icy, sticky, too deep for non-powder skiers, or too inconsistent to offer a good experience. The statistics have shown over many years that less than 20 percent of XC ski outings are at fee-based resorts or centers. Skiers that experience the other 80 percent of the XC skiing outings are missing out on the benefits, and many are not even aware that those services exist. If you haven’t stayed at a XC resort or skied at a XC ski center, give it a try. It’s a great winter experience. Since the time that wooden skis were found in a peat bog in Sweden dating to 2,000 BC, there have been many milestones that brought xc skiing to where it is today. Focusing on the USA, the forefathers of our recreation include people such as Snowshoe Thompson, who delivered the mail in the Sierra Mountains of California and JackRabbit Johannsen, who xc skied in northern New York. 1. Development of synthetic xc skis in 1974. 2. Development of the waxless based ski in the early 1970's, most notably the Trak ski with synthetic fishscales on the ski base to eliminate the need for ski waxes. The waxless base gave the recreational skier grip on uphill travel while also allowing gliding downhill. 3. Integrated xc ski binding systems, which provided substantial improvements in simplicity of boot/binding interface and control in the mid 70's. 4. Bill Koch won the Olympic silver medal in 1976 and World Cup in 1982, the first American to ever win at that level. The Nordic Trak exerciser used the Koch image as a fitness icon in advertisements for years. 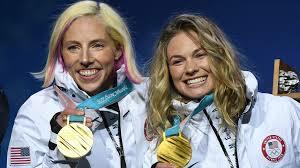 In 2010, there was US Olympic medalists in Nordic Combined and in 2012 there was a World Cup winner in women's sprint. 5. The onset of the commercial xc ski area concept began in 1968-69 at Trapp Family Lodge. This brought designed, groomed, and maintained trails making xc skiing easier and safer for the average person. 6. The skating technique proliferated for a faster paced and higher performance form of recreation. 7. Revolution Skis developed by Fischer led the way to shorter skis, which were easier to use and consolidated ski sizing and simplified ski selection. 8. New lighter clothing with synthetic and breathable materials was more conducive to xc skiing comfortably; company brands such as Mother Karen led the way in the late 1970's. 9. Other technological advances such as the 2 Wax System that offered one wax for cold temperatures and one for warm temperatures simplified ski waxing while the BackCountry binding systems provided a beefed up boot/binding system that provided substantially more support and control for backcountry recreation. 10. Will the Nordic Integrated System (NIS) developed in 2005 change the ski/binding interface? This system combines the ski and binding at manufacture rather than at the retail store. The Squaw Valley Winter Olympics held in 1960 led the way to many technological advances that shaped today’s operation and broadcasting of the Winter Olympics. The Nordic event venues built in Tahoma, CA are now covered with dense new growth as all of the structures, which were temporary, have been removed. The land located on Route 89 about 10 miles south of Tahoe City on the west side of Lake Tahoe is now the Ed Z’berg Sugar Pine Point State Park. The Nordic venues and practice areas for the men’s 50 km, 30 km, combined, and relay races were held in the General Creek and McKinney Creek areas, which were privately owned when the Squaw Valley Olympics was in the planning stages. These games were also the first time that the biathlon and women’s 10 km were included at the Olympics. The 57 km of trails were developed in 1958 and completed in 1959 for a test run championship. The 1960 Winter Olympics were the first time the winter competitions were ever nationally broadcast on TV. This was also the first time that sno-cat grooming vehicles were used to mechanically groom the race courses. Tucker Sno-cat machines towed agricultural choppers and tines to “tenderize” the snow conditions. They had yet to think of track setters in today’s terms, so skiers set the tracks by skiing behind the grooming machines. The downhill sections were raked by hand. Another first was the use of electrical and manual timing. To keep spectators abreast of the competition, interval times of the racers were taken along the trail and were phoned to the stadium area where they were announced to the spectators and posted on the scoreboard. Since there are few remnants from the Nordic events remaining, there is now an effort to reinvigorate these “forgotten Olympics” in a partnership with the state park to reestablish the trail network, construct interpretive panels and trail markers, and develop a museum of historical artifacts. Currently there is an Olympic exhibit at the Reno Airport and there is some signage at Sugar Park Point State Park. For more information there is a book by David Antonucci entitled “Snowball’s Chance: The Story of the 1960 Winter Olympic Games,” which is filled with information and photos. Backcountry access is now a service at more cross country ski resorts (see story at http://www.xcskiresorts.com/resort-features.php#Anchor-6262) and whether you refer to it as backcountry, out-of-bounds skiing, sidecountry, or off-piste skiing, such terrain accessed by skiers and snowshoers equipped with a sense of adventure, the latest powder gear, and exuberance to descend a mountain side in deep powder is intoxicating. But xc skiers can end up in dire circumstances, completely alone and on their own in trouble. Some xc skiers have an insatiable appetite for untracked powder, which can override educated decisions when determining the acceptable risks. How to combat the possibility of catastrophe when accessing the backcountry within or outside the ski resort’s terrain, requires arming yourself with knowledge and the basis for sound decision making. The factors involved in off trail mishaps also often include human behavior and Mother Nature. As more skiers and snowshoers access the off-trail terrain other issues such as increased use may impact safety. If a slope has been trafficked by dozens or hundreds of other backcountry users, it does not always mean that it is safe. Snowpack stability, route selection, and potential terrain hazards are all significant in the decision making for safety. While some ski area managers try to minimize the risk to off-trail users (such as “cleaning” gladed terrain areas), there are realities that include the skier’s individual choice and self reliance. Of course, there is a much better chance that help is nearby if a skier is in trouble within the ski area boundaries, but it still may take a while before help arrives. It is important to for skiers and snowshoers to be educated and prepared and be able to assess the risks of backcountry activity even within the ski area boundaries. In these litigious times, there may not be ready-made pamphlets to promote safety in the backcountry because few writers and publishers want to be liable. But one example is, the Falcon Guide entitled “Cross-Country Skiing,” (see story at http://www.xcskiresorts.com/equipment.php#Anchor-1010), which has sections on Route Finding, Winter Hazards, and First Aid that provides useful info. These are just some of the issues to be considered as more people ski or snowshoe off trails and more issues will arise as more ski areas open access to ungroomed terrain. Can XC Skiing and/or Snowshoeing be a Remedy for Anxiety and Depression? There have been studies done about exercise intervention for clinical populations diagnosed with depression, anxiety, eating disorders, and even post traumatic stress disorder. This research shows that there are beneficial effects that produce a statistically relevant and significant reduction in these mental maladies. The following few paragraphs provide info from some articles that covered the topic of using exercise as a good strategy for therapists to employ. In the 4th century, Plato reportedly quipped, “For man to succeed in life he has been provided with two means, education and physical activity. Not separately, one for the soul and the other for the body, but for the two together. With these two means, man can attain perfection.” The CDC cites health benefits associated with a range of physical activity and in its absence there can be an increased risk of obesity, heart disease, diabetes, certain cancers, etc. Physical inactivity may also be associated with the development of mental disorders such as those listed above. There is evidence for the effectiveness of exercise training in patients with panic disorder impacted by a number of psychological factors such as increased self efficacy, a sense of mastery, distraction, and changes of self-concept. Can or will psychologists prescribe such an exercise intervention as part of therapy for their patients? It would seem to integrate perfectly with cognitive behavioral therapy strategies such as situational analysis, self monitoring, homework activities, and supportive follow-up to help compliance. Physical fitness will also improve self-esteem and as patients feel better about themselves they’ll develop a more optimistic and energetic frame of mind. There is also an association between aerobic exercise and increased alertness. The exercise improves circulation and increases the availability of oxygen to the brain while it also causes the body to produce chemicals such as adrenaline to promote mental alertness. Fitness can instill a sense of pride and confidence and allow the mind a pathway to escape from everyday stress. Biologically speaking, exercise is said to cause the brain to release beta endorphins, which are essential in relieving pain and create a sort of euphoric or light happy feeling. This overall mood enhancement can be prescribed to help treat depression and anxiety. Regular exercise will also invoke focus, determination, and discipline, which are mentally strengthening. Cross country skiing and snowshoeing are the top forms of aerobic recreational activities. And aerobic activities have been found to promote mental health, boost energy, improve sleep, relieve tension and stress, and combat anxiety and depression. There is a real proven link between physical fitness and mental health and well-being. We should get moving on this! How do we encourage more psychologists to enroll their patients in outdoor fitness endeavors as part of therapy? 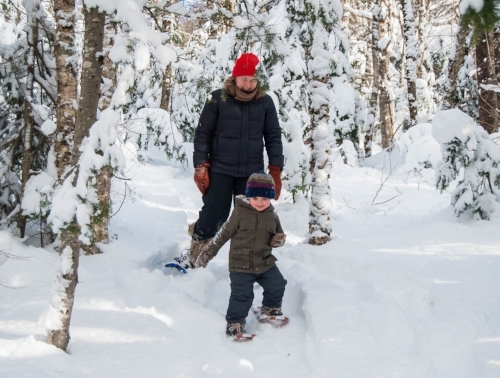 There will be benefits from such strategies at a wide range of levels from getting someone out on rental snowshoes for 3 short weekly hikes to training for a 50 km skiathon. A strategy to bring together xc skiing or snowshoeing and professional therapists can be developed. The skier can create a prescription for a routine for skiing or snowshoeing a number of kilometers a few times per week and the therapist can schedule sessions or maybe even hold the sessions on the trails. What would that be worth an hour including trail passes? Maybe xc ski areas can sell transferable season passes to therapists in a package? Maybe health insurance could cover the cost of and encourage such a winning strategy. Do You Want to be a Nordic Ski Patroller? Skiers visiting a commercial cross country ski resort can feel comfortable knowing that if they get injured there is most likely a ski patroller on site during their visit. But who are these patrollers? Since 1938 the National Ski Patrol (NSP) has served the public and outdoor recreation industry providing education and credentials for emergency care and safety service. The NSP has had a Nordic division since the early 1970s, and these Nordic patrollers provide venue coverage at Nordic ski resorts, services to backcountry enthusiasts by interfacing with the National Forest Service and different park agencies, and can be an integral aspect of local search and rescue groups. The diverse nature of the Nordic classification lends itself to be a unique program within the NSP. These patrollers who work at ski resorts, in the backcountry, and at alpine ski areas use a variety of equipment types, and know the extended patient care knowledge required and the needed backcountry survival skills. This all contributes to defining what Nordic patrollers do. Nordic Patrollers are educated with a comprehensive manual and Nordic ski enhancement seminars offered by NSP regional divisions. These are effective tools to build strong confidence and proficiency on the trails. The NSP is standardizing the program throughout the divisions, so the same tools are applied for patrollers to succeed and a quality assurance plan is being put in place to ensure that the NSP members meet high standards. Mountain Travel and Rescue (MTR) courses provide a variety of skills, including nutrition and how the body performs in a wilderness environment, weather patterns, survival skills, working with group dynamics, an introduction to search and rescue, rope rescue skills, improvised toboggan construction, and land navigation with map, compass, and GPS. The MTR courses are taught in classroom and field sessions including mock scenarios to ensure the attendees can apply what they have learned to real life situations. Whether you are an outdoor enthusiast looking to expand survival and travel skills in the backcountry environment or a ski patroller preparing for one of the worst possible scenarios a parent can face at a ski area (a lost child), the NSP has a range of training. NSP also covers fundamental principles of avalanche hazard and work with mountain search and rescue groups. Patrollers who operate/recreate in areas that lack appreciable avalanche terrain are trained in navigation, emergency rescue, and even survival skills. Nordic snow pros or ski instructors teach the sport for the same reason to celebrate the community and culture of the sport and to share that experience with as many people as possible. Professional ski and snowboard instructors come in all shapes and sizes and from many different backgrounds. There are part-time and full-time instructors while some prefer teaching beginners, or kids, because they enjoy introducing new people to the sport, others are coaching competitive athletes at the highest level. PSIA-AASI is the national organization in the USA that offers professional certification and certificate programs for those instructors looking to gain peer-reviewed recognition of their skills and knowledge. PSIA-AASI develops national certification standards with the industry partners that provide the foundation for these credentialing programs. The organization is comprised of regional divisions. As of the end of June 2013 there were 893 certified PSIA-AASI instructors for cross country skiing and 1,801 certified instructors for telemark skiing (usually done at alpine ski areas). Canada has the Canadian Association of Nordic Ski Instructors (CANSI), a similar organization had 781 members in 2012-2013 including 583 xc ski instructors and 236 telemark ski instructors (some members have both certifications). These professional organizations are endorsed by the Cross Country Ski Areas Association and its president Reese Brown, commented, "For the best ski experience possible, take a lesson with a certified ski instructor." The current PSIA-AASI education/certification standards provide a training focus and represent a minimum competency for each level of certification. 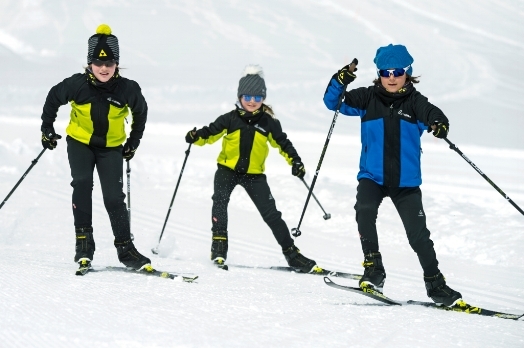 There are specific PSIA-AASI manuals about teaching cross country skiing and telemark skiing. CANSI has four certification levels in xc and three in telemark. Certification courses are organized and run by six different regions across Canada, following standards established by the National Technical Committee. Besides regular professional development days, CANSI members have access to a variety of technical material such as a very detailed and comprehensive Instructor Manual, newsletters and videos. Professional members also benefit from a liability insurance coverage when teaching, and enjoy discounts with several industry-leading equipment suppliers. From professional development to expanding your abilities to share the ski experience with others, to making lifelong friends and memories, PSIA-AASI is devoted to helping you make your time as an instructor as rewarding as possible. PSIA-AASI membership consists of both registered and certified members. Once you join the Association you become a registered member. When you take and pass your Level I, Level II or Level III certification exams, you become a certified member or instructor. PSIA-AASI provides much more than just a membership; it provides a connection to people who are excited about skiing and sharing that passion with others. And, it provides a connection to sliding on snow that has the power to change lives. The organization has more than 31,000 total members, hundreds of discount products from official suppliers and the PSIA-AASI Accessories Catalog available to members at a discount. Other membership benefits include attending clinics, attaining nationally recognized certification, online teaching resources and printed technical manuals, PSIA-AASI's magazine 32 Degrees, discounts on products from official suppliers, instructional aid products, and liability insurance coverage. The costs associated with becoming a certified PSIA-AASI Nordic instructor are about $150 for attending a 2-day event in one of the regions where you would learn the particulars of teaching (covering material in the Nordic ski instruction manual) and $127 annual dues. For example, the PSIA-AASI events in 2012-13 sanctioned by the Eastern Division were held at 13 ski areas in six different states across the region during the winter (3 in VT, 3 in NH, 3 in NY, 2 in ME, 1 in MA, 1 in WV). Attending courses for CANSI can cost $250-300 but this includes the first year of annual membership, which costs $70 per year. If you're interested in sharing the passion of cross country skiing and becoming a certified instructor, contact www.thesnowpros.org or in Canada www.cansi.ca/en/ to find your respective division. Skijoring is a Norwegian word that means "skidriving." A team of one or more dogs pulls an xc skier and the skier "drives" or directs the team as he or she skis behind. In Scandinavia, skijoring has been done for centuries and it is gaining popularity in the US. It's easy to learn and can lead to magical winter days for you and your canine friend. Skijoring will help keep your dog fit and healthy and it can deepen and enhance the relationship that you have with your dog. Learning to work with your dog and become a team is a great reward that skijoring has to offer. The human aspect of skijoring requires skiing ability, dog training, and handling skills. Any XC ski gear can be used for skijoring and classic or skating ski techniques can be used. The type of ski selected depends on the experience that your desire such as how fast you want to ski and how far you want to go. Expect that a fast running dog on a groomed ski trail will be very quick and skating might be the best choice. If you are new to XC skiing, it is recommended that you take ski lessons and practice prior to trying skijoring with your dog. Ski ability requires that you are able to control your speed, stop, and keep balance. But as previously mentioned, skijoring is a team activity and you should expect to work as hard as your dog. It is not a FREE RIDE! Dog training and handling skills are equally important so it is useful if you and your dog have participated in an obedience class together. Key elements include being positive, patient, and consistent. Positive reinforcement is important with any animal training and short easy sessions will yield great results. You want to feel successful and gain confidence together. No matter the breed (above 30 pounds), dogs have a strong instinct to chase, run on a trail, or hunt as a pack. While sometimes this instinct can result in unwanted behavior, when carefully shaped and trained, it also enables your dog to pull. One of the easiest ways to teach your dog skijoring is hooking him/her up with an experienced skijoring or sled dog team. Another method that works is to have someone ski slightly in front of your dog and call it, while you let it pull you. Some dogs may learn immediately and others may take a little more work and encouragement, but keep things in perspective. Dogs need adequate water and it is recommended not to run them on a full stomach. They can overheat in warmer temperatures (above 40 degrees) and dogs with thin coats (such as pointers) can get too cold. You might consider dog booties for abrasive snow conditions (may take some getting used to) and for furry footed dogs, you should trim the hair on their paws or use oils (Musher's Secret) to prevent snowballs. If your dog is not regularly exercised, start with very short sessions and work up from there. Consult a veterinarian for advice about ideal running weight for the breed of dog that you own. The gear for skijoring is lightweight and simple. Booties have already been mentioned and a harness is necessary to connect you with the dog. A webbed harness when pulled to complete length stretches from your dog's neck and chest to the base of his/her tail. A good fitting harness should allow a dog to run and pull efficiently and safely. It is best to have an experienced and knowledgeable skijorer help to fit your dog's first harness. A bungee lead (a leash with a bungee cord sewn inside of it) is useful to prevent jerking motions and ease the stress of pulling on your dog. You will also have a harness around your hips and legs and these come in a variety of styles that should fit so that you can move and ski efficiently. A safety release between your harness and the line connecting you to the dog is very important. When you are ready to go, with a friend in front to encourage your dog, let him/her start pulling and give the command "Let's Go!" There are many commands you will learn as a skijorer such as "whoa" or stop, "on by" meaning leave that irresistible distraction alone and keep going, "gee" means go right and "haw" means go left. "Come around" means turn around. Taking a class in skijoring will help you get started the right way. While on the trails with your dog please be aware of trail etiquette. Respect the guidelines at an xc ski area and stay on the dog-friendly trails that are specified. Loose dogs can be an annoyance and even a danger to both skiers and other dogs. Be aware of others on the trail. Try before you buy - many XC ski areas conduct demo days to give skiers an opportunity to test drive the newest XC ski equipment. It's a day when product suppliers' branded tents and flags are flapping in the wind and company reps stand guard armed with knowledge of their wares. You might participate in a demo because you have outdated gear (national statistics say that XC skis are 17 years old on average) and want to test new and different equipment to replace your old clunkers. Or you might just want to experience the advantages of the new gear. A pair of XC skis can be as high as $500 for premium models, so it makes great sense to try some different skis, ski categories, and brands to find something that best fits you. Depending on how organized the demo is, you might need a credit card and/or identification for security but remember to also bring an open mind. The rep will ask you about your skiing ability and interests. If you're an intermediate skier who gets out on the trails four times a winter it is very different from a skier who hits the trails every weekend and can fly on skate skis. Give the rep an accurate description of your skiing prowess and interests so he or she can make a recommendation for you. If you need a new set up and want to use a product demo to help make the decision about what to buy, do some homework before going to the demo. Talk with a knowledgeable ski shop employee who XC skis. Be wary of the alpine ski shop that limits its XC ski products to a dark or dusty back corner of the store. Find a reputable XC ski shop that sells multiple models among a few different brands of XC skis. Check out some company brand websites or other general XC ski-oriented websites. When at the demo, get the right size skis for your weight and ski on them for about 15 minutes. Find some uphill and downhill trails to see how the skis perform. Do the skis hold going uphill or do you have to fight to prevent backsliding? Are some skis easier to turn than others? Does the glide seem to extend or do the skis slow down quickly? If you don't know what to look for while testing, ask the rep for some tips. It is recommended to stay in the same category of skis when testing, so if you're trying a recreational waxless ski from one brand, test a similar ski and price point from a different brand before switching to a different kind of skis. Of course, there are two different XC ski boot/bindings available and if you don't use the same system on the different skis that you're testing, you'll have to change boots to ski the other boot/binding system. Rossignol rep Will Masson commented about the advantage of demoing with the NIS binding, "The NIS system allows you to move the binding on the ski to 7 different positions so you can fine tune your grip and glide position on the skis. The binding starts out at the balance point position and moves forward 1.5 cm and back 1.5 cm to customize your weight distribution on a particular ski. This can only be achieved when using the NIS system. There is a graph that shows the benefits of moving the binding forward and back on the plate for skating and classic. A customer might be right between a 176 cm and a 186 cm ski on the recommended weight chart. That customer can be put on the longer ski to enhance the glide, and then the binding would be moved forward to maximize their grip on that longer ski. Advantages are like fine tuning a driver in golf, or a handlebar stem height on a bike, or strings in a tennis racquet. With other Nordic binding systems once you mount the binding you are stuck in that position!" XC ski boots are a very important aspect of XC skiing comfort and it makes great sense to ski on some different brands. Do you want your boots to feel like a comfortable sneaker or do you desire the substantial support of a stiff sole? Is the toe box area of the boot creasing in a comfortable spot when you're skiing? Do your heels rise when you lift your foot? Is the boot too tight or too loose? Should you get custom insoles for your boots to make your feet feel more comfortable? Have you tried XC ski poles recently? Ski poles have different grip straps that are easier to use and you may find that they are more comfortable and effective than traditional ski pole straps. Sunglasses are a great item to test. Do they fog up when you get sweaty? Do they feel so tight that you might get a headache? Are interchangeable lenses available for times of low light or bright sun?